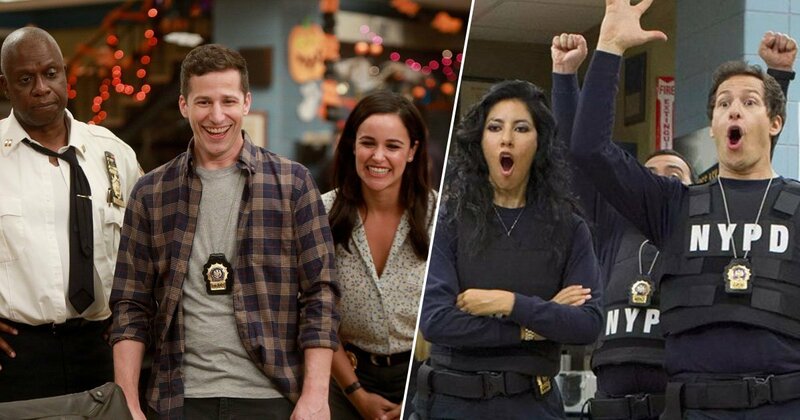 If you like your Brooklyn Nine-Nine episodes all in one place and available to binge-watch at your own pace, you’re in for a treat. This is because the fifth season of Brooklyn Nine-Nine is now all in one place and available to binge-watch at your own pace. More specifically, it’s now on Netflix, which means no more unconscionably annoying adverts, and yet another series which – even if you’ve already seen it – you’ll probably stick on and sit though again anyway. What else are you going to do with your Friday? It’s no surprise the fifth season has landed on the streaming service. Netflix have been teasing it for a while now, mainly thanks to a super-fan called Darcy who used the modern communication tool of choice – Twitter – to badger the streaming service about it. clear your schedule because ‘Brooklyn Nine-Nine’ season 5 is coming to @NetflixUK on March 8th! After the tumultuous time of actually getting a sixth season, it seems the cop show is stronger than ever, and has now been picked up for a seventh season too. The good news came from NBC, Variety reports, who saved the show in May last year after Fox cancelled it following dwindling ratings. It’s been one of our great joys as a network to give Brooklyn Nine-Nine a second life. Cheers to Dan Goor, Mike Schur, Luke Del Tredici and David Miner, and our amazing cast and crew who each week turn New York’s finest into New York’s funniest. Earlier this year Andy Samberg, who plays Detective Jake Peralta, cast doubt on the show’s chances of a seventh season saying there were a lot of question marks about the show’s future. Thankfully, his doubts were put to rest, and NBC surprised the cast about the exciting announcement in a recent video. Season six aired in January this year, with seven episodes out so far. The season was supposed to run for 13 episodes but the network has upped it to 18 because – if you couldn’t tell – people really like the show, and want as much of it as possible.